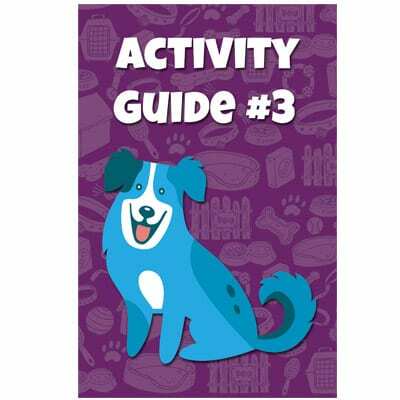 The Reach & Teach Humane Education Program is a fun and engaging way to teach Kindergarten through sixth grade students the positive and powerful message of what it really means to be a responsible pet owner. The program includes eight units designed to be presented in 45 to 60 minute sessions. 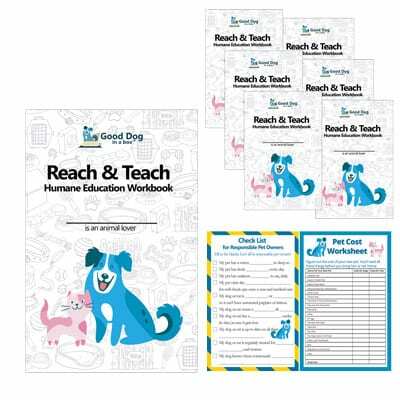 Reach & Teach covers being a responsible pet owner, how to stop pet overpopulation, how to have a healthy and safe pet, providing for a pet their whole life, animal advocacy, careers working with animals, and two units that encompass our SAFE Dog Bite Prevention Program (also sold separately). 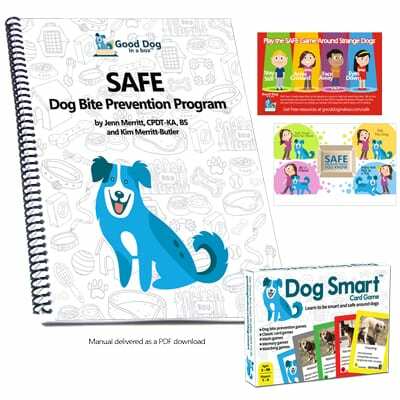 The program is entirely scripted and comes with: 60 page program guide, 20 eight page kid’s activity guides, 1 Dog Smart Card Game, 50 SAFE Dog Bite Prevention Game 4″ x 6″ postcards, downloadable Powerpoint, downloadable videos, additional puzzles and games to copy, and certificate of completion masters for both Reach & Teach and SAFE Dog Bite Prevention. Each unit focuses on the development of different character traits and includes a student “I Can” statement. 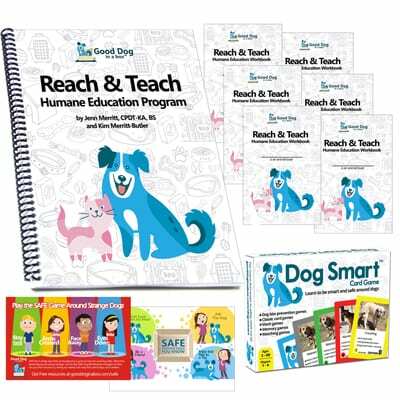 Watch our video to learn more about the Reach & Teach Humane Education Curriculum. 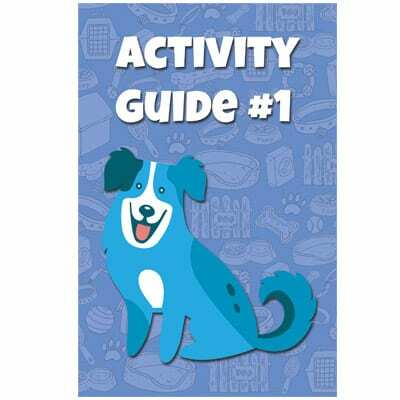 We believe that educating children on how to be a responsible and caring friend to their pets, is a good way to reduce the number of dogs and cats in shelters. 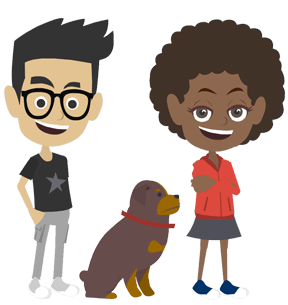 Once children understand the importance of dog and cat safety, dog bite prevention, spaying and neutering, and proper health care, they’ll become an advocate of animals in their home and around the world. 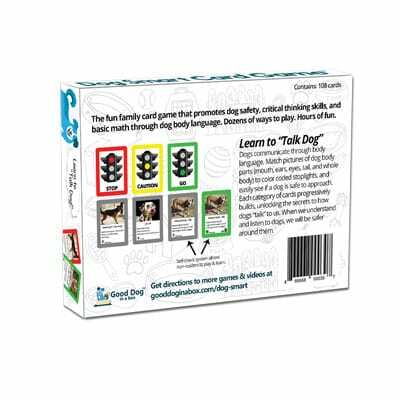 Jenn Merritt, CPDT-KA, BS, Good Dog in a Box cofounder, has been teaching and writing humane education programs for children for over 13 years. 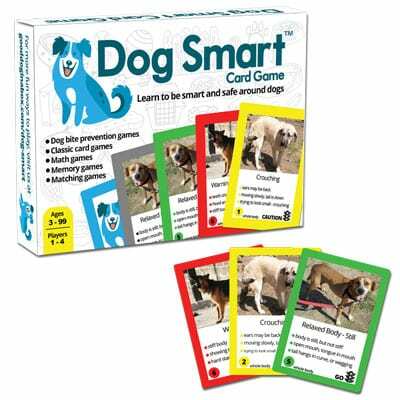 With the help of her sister and cofounder, Kim Merritt-Butler, Jenn has created a new humane education program for school systems, boys and girls clubs, churches, and after school programs to teach the importance of being a responsible pet owner, with fun games and activities from our Good Dog subscription. The Good Dog Reach & Teach Humane Education Program gets a positive and powerful message about what it really means to own a dog out to children, the next generation of pet owners. 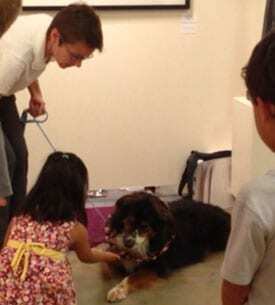 The program covers all animals, but focuses primarily on dogs and cats. Reach & Teach has been designed for educators, parents, boys and girls club leaders, and concerned community citizens. You don’t have to be a school teacher to present our materials. Every unit is completely scripted so you can be comfortable presenting the information. We’ve included a “Tips & Add Ons” section with additional suggestions and ideas for your presentations. Everything has been designed with colorful visuals, animation, fun, and games, to hold the attention of your audience and to get across the very important messages at the core of the program. The curriculum is designed to be taught in a number of ways, from a single half day session to 45-60 minute sessions over a succession of days or weeks. 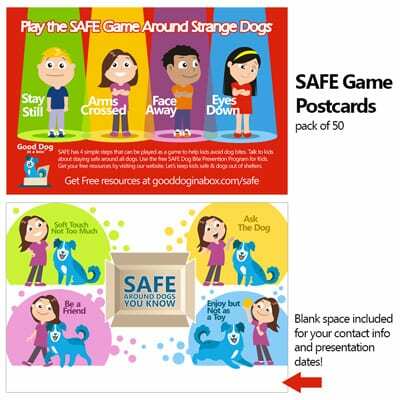 Units 4 and 5 can be presented on their own and make up our SAFE Dog Bite Prevention Program. 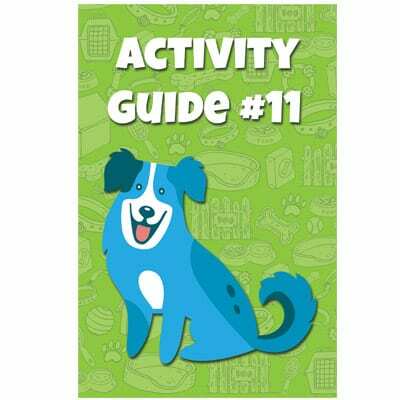 Purchase a program for your school, club, after school program, homeschool program, animal shelter, or religious organization. You can also choose to sponsor a Reach and Teach Program kit to be sent to a group of children in an area of need. Organizations can sign up on our website and we’ll provide programs to those groups, as sponsors become available. We’ll send your donated kit to an organization on our list, with a note identifying you as the kit sponsor. Plus, we’ll send you a note letting you know the name of the group that got your kit. It’s a win-win for everyone. 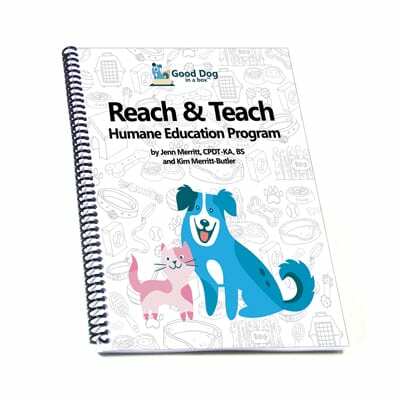 Your purchase of a Reach & Education Humane Education Program enables you or or group to be listed as a program presenter on our new Humane Education Presenters resource page, launching in the Summer of 2017. You’ll be sent a link to register after purchase.